Home » News » Idaho Unemployment Rate Hits a Record Low! Idaho Unemployment Rate Hits a Record Low! Idaho’s economy continues to thrive under Republican leadership. Workers are especially benefiting as our unemployment rate reached a record low of 2.7 percent in September. According to the Bureau of Labor Statistics, Idaho’s unemployment rate, one of the lowest in the country, set a series low since the Bureau started its state series in 1976. Idaho ranks 8th in the nation for our yearly increase in state employment. Since the depths of the Great Recession, when Idaho’s unemployment rate hit a high of 9.6 percent in the summer of 2009, fiscally responsible Republican leadership has brought Idaho – and Idaho workers – back to a stronger, more healthy economy. 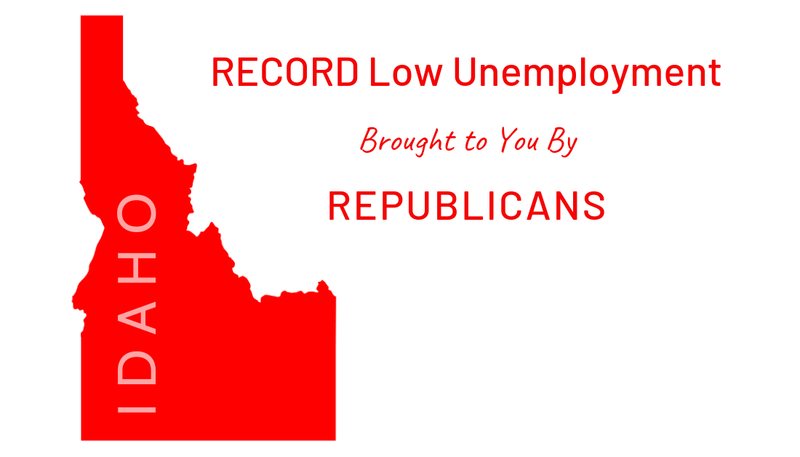 October 23, 2018 / In Economy, News / By Idaho GOP / Comments Off on Idaho Unemployment Rate Hits a Record Low! 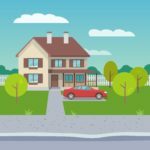 Idaho Ranked 5th-Safest State in America! Help Us Keep California-Style Politics Out of Idaho! Stop the Far-Left Democrats.